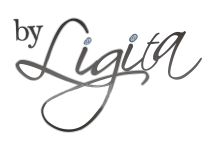 About "By Ligita - wedding gowns & accessories"
With a selection of over 80 different gowns in stock, and new styles being constantly added, "By Ligita" will make every brides dream of the perfect wedding day come true. Our range varies in size from petite to curvaceous, and Ligita is incredible at helping her brides choose the best gown for their figure and personality. When walking into our beautiful studio, its hard not to have your breathe taken away with the stunning selection of European designed imported gowns. Its very hard not to try them all on! The first five dresses that you try on are free, (isn't that awesome) and there after there is a charge of R50 per additional dress. As we want our brides to be both; comfortable and look stunning on their wedding day, basic alterations and final fittings are free of charge. As "By Ligita" prides personal service and attention to detail, visits to our gorgeous studio are by appointment only. So come visit us, our relaxed and comfortable atmosphere and high level of service will make choosing your wedding dress a wonderful and non-stressful part of planning your big day! fabulous on your wedding day. With her eye always on creating a stylish and fashionable look, while keeping it sophisticated, she will guide you in making the right choices with your accessories as well. Her bubbly personality and great sense of humour helps make the environment of our studio light, friendly and fun. This fabulous lady loves all things beautiful, from elegant and classic satins to lace,and bling, there is nothing dull about her. So if you want an amazing experience when planning Your Big Day, and are looking for personal attention, she is your Wedding Gown Designer!